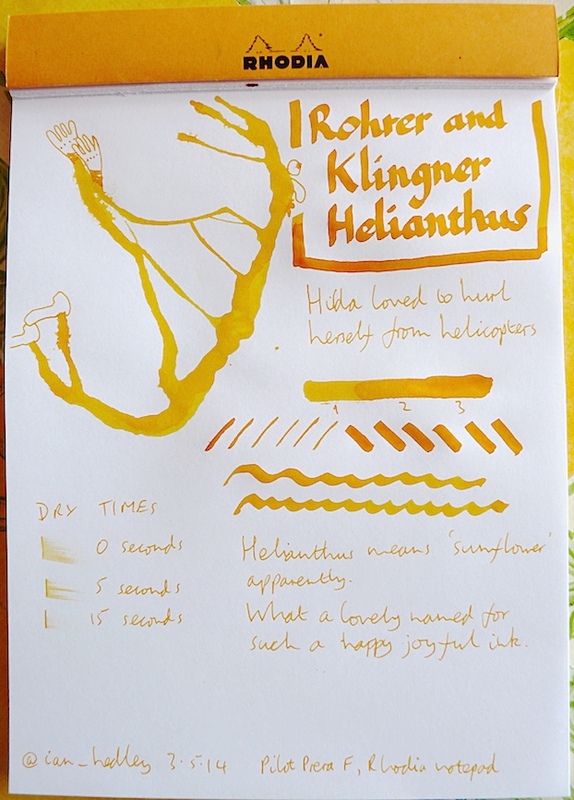 Rohrer and Klingner Helianthus ink review – Pens! Paper! Pencils! I love this ink so much! I can’t get the photos to show just what a beautiful warm bright yellow this is. It truly is sunshine on a page. This ink makes me happy and that’s what it’s all about, right? It does have one strange property although, to be honest, it could be more a property of my ageing eyes than of the ink. I’ve found that when I try to write with this ink (using a fine nib, I admit) under artificial light, it’s almost invisible. I can’t see it at all! It’s fine in daylight and it’s fine when it dries (because it isn’t shiny and it’s a little darker). I’d be interested to hear from anyone who’s got this ink to see if it’s just me! 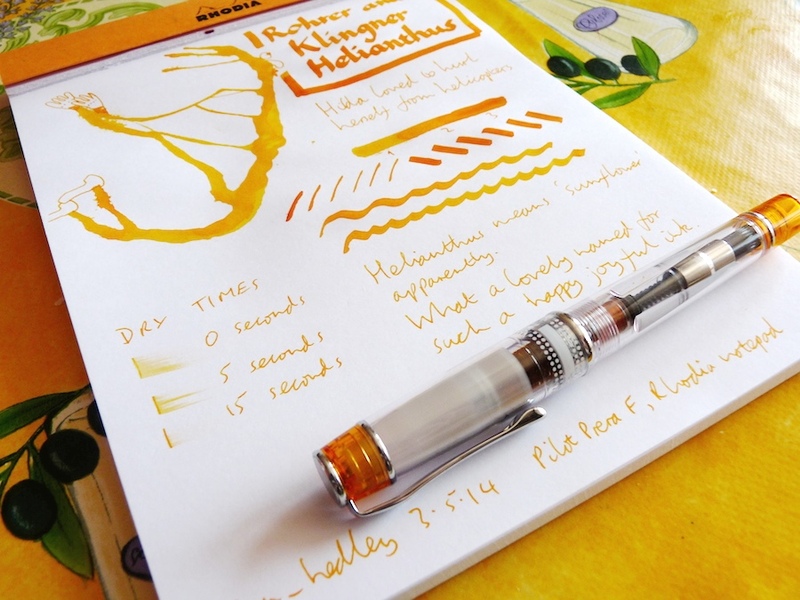 I would never have bought a yellow ink but this one came as part of the Goulet Ink Drop. It’s now one of my favourite inks ever. Looks like a nice ink. Absolutely agree. I love this colour, as much as Stipula Sapphron. Two most beautiful yellow colours. I also had De Atramentis Gold yellow but it was typical bright yellow ink, which is completely useless for me.